A young couple warms up on a cool spring day in San Francisco after visiting to the De Young Museum in Golden Gate Park. They are enveloped and shielded from the ocean breeze by the dimpled copper walls of the entry court. 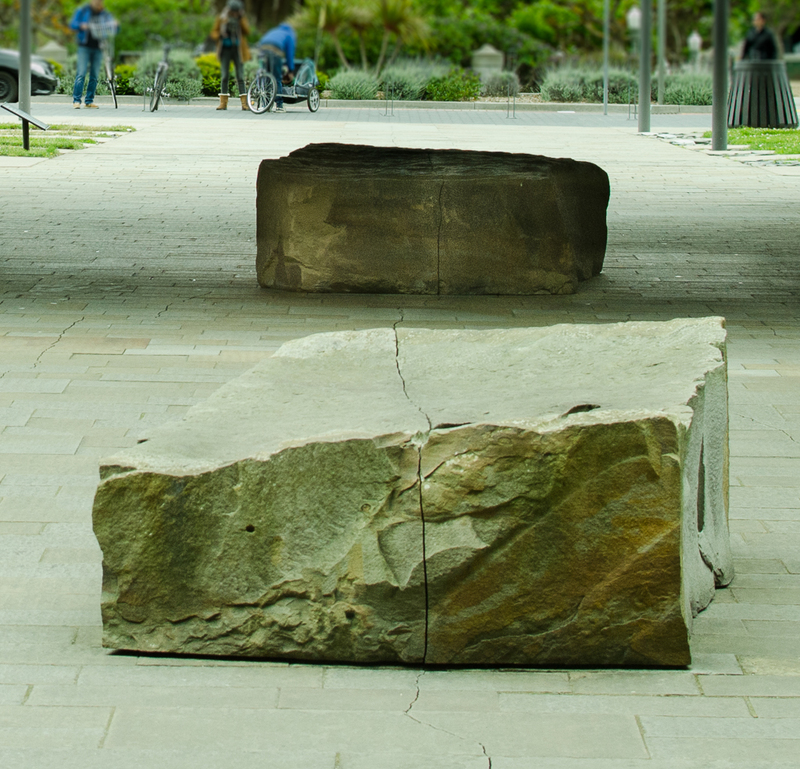 I wonder if they notice the crack that bisects the rough-cut stone that is their seat? The crack, hand carved by artist Andy Goldsworthy threads its way through the court as a reminder of the ominous threat of earthquakes in California. The court was created by artist Andy Goldsworthy in 2005; the floor was hand-crafted by the artist from stone imported from Yorkshire, England. The ‘crack’ runs from the street through the entry walkway right up to the entrance door. Beware, don’t step on the crack. In response to WordPress Weekly Photo Challenge: enveloped. 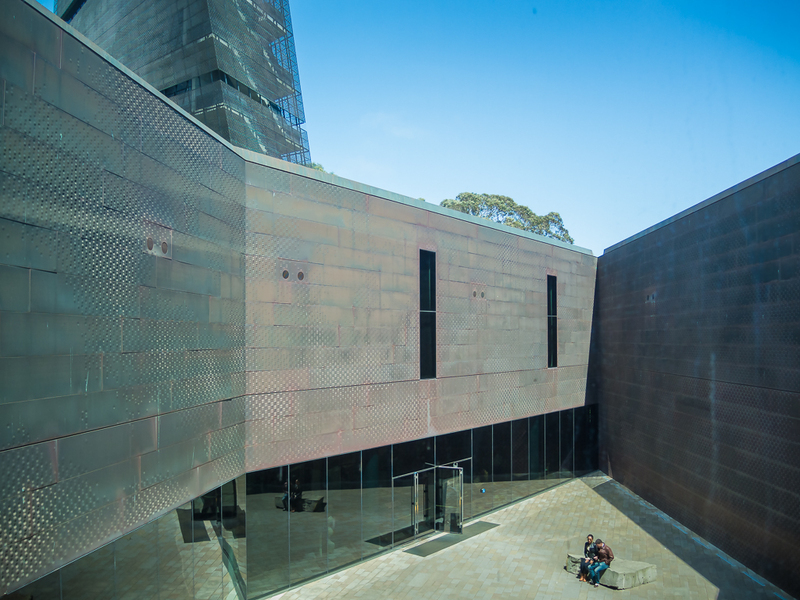 This entry was posted in Public Art, San Francisco and tagged blogging101, De Young Museum, Photography, Weekly Photo Challenge by carto. Bookmark the permalink.